1. Preamble. The Dublin Branch of the Western Front Association (‘the Branch’) was formed with the aim of furthering interest in the period 1914-1918, to perpetuate the memory, courage and comradeship of all the men and women, especially those from the island of Ireland, who served during the Great War. 2. Title. The title of the Branch shall be ‘Dublin Branch of the Western Front Association’. 3. Object. The object of the Branch shall be to educate the public in the history of the Great War. i) To arrange visits to the Great War battlefields and to commemorative functions. ii) To organise lectures, seminars and similar educational activities. iii) To raise funds and to invite and receive contributions from any person(s) or organisation(s) whatsoever by means of a one off subscription, donation and otherwise. iv) To co-operate with likeminded bodies in furtherance of the objects of the Branch and to exchange information and advice with them. i) There will be no formal membership of the Branch; instead individuals will be encouraged to become a member of the parent body ‘The Western Front Association’ which is based in the United Kingdom. ii) Those interested will be offered the opportunity to become a ‘Friend of the Dublin Branch of the Western Front Association’ for a one off payment of 20 Euro. iii) The Branch Committee shall have the right to remove any individual from the list of ‘Friends of the Dublin Branch of the Western Front Association’, who in the opinion of the Branch Committee acts in a manner prejudicial to the good name and/or well-bring of the Branch or who fails to abide by this Constitution but such ‘Friend’ will first be given the opportunity of a hearing by the Branch Committee. Anyone removed from the list of ‘Friends’ will not be entitled to a refund of the 20 Euro paid to the Branch. i) To receive the report of the Branch Committee for the last year. ii) To approve a statement of income and expenditure for the past year and a balance sheet. iii) To hold an election of Officers for the forthcoming year. iv) To consider and vote on any proposed amendment to this Constitution, of which 14 days written notice has been given to the Branch Chairman. v) To conduct any other business, of which at least 48 hours written notice has been given to the Branch Chairman. i) The Branch Committee must consist of a minimum of three members; Chairman, Secretary and Treasurer. There is no upper limit on the size of the Committee. 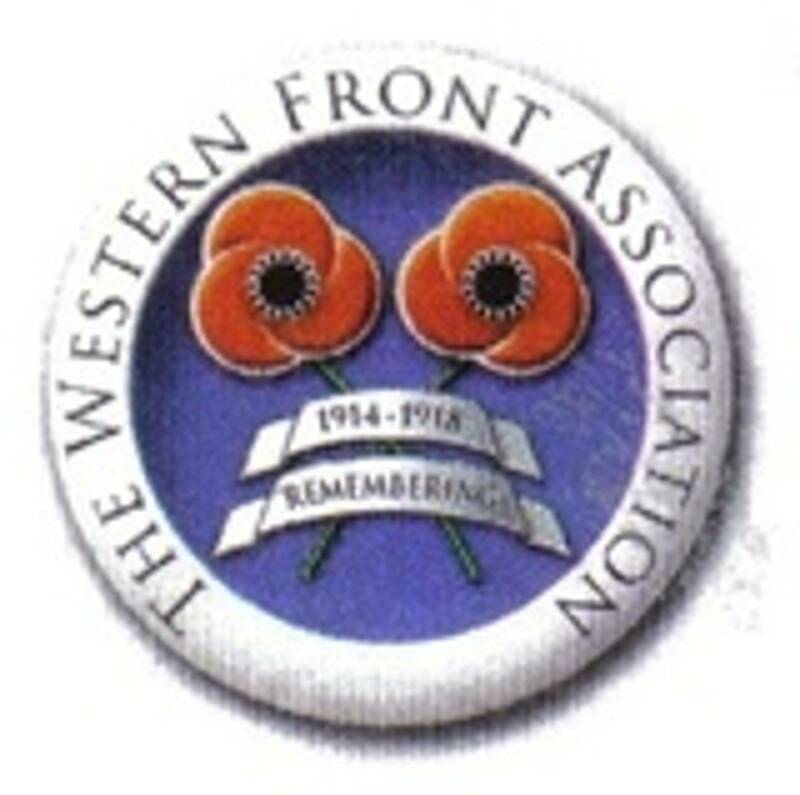 ii) All Branch Committee members must be a fully paid up member of the parent body ‘The Western Front Association’ which is based in the United Kingdom. iii) Nominations for the Committee can be written or verbal and can be made at any time from the announcement of the date of the AGM up to the start of the meeting. iv) Nominees will be required to confirm their willingness to serve on the Committee before any vote is taken. (A) You must be a fully paid up member of the Western Front Association. (B) You are a ‘Friend of the Dublin Branch Western Front Association’, who’s donation was made at least three months prior to the election. vi) No proxy votes are allowed, those eligible to vote, can only do so in person. vii) If the Branch Committee deems it necessary it may co-opt extra members onto the Committee. viii) Branch Committee meetings will be held as and when decided by the Branch Committee. i) The Branches financial year will end on 31 January. ii) A bank account will be opened in the Branches name; withdrawals will require the signature of the Chairman and one other Committee member. iii) All income of the Branch shall be vested in the Branch and lodged to the branch’s bank account. iv) Upon dissolution of the Branch, the Committee shall donate any credit balance in the Branch’s bank account to an appropriate organisation which is deemed to further the aims of the Branch. 8. Any Other Matters. Any matters that arise that are not covered by this Constitution will be decided upon at a meeting of the Branch Committee, at which the Chairman and at least two thirds of the rest of the Committee are present. This Constitution was adopted by the Committee of the Dublin Branch of the Western Front Association on 24 November, 2012.